I’m gonna give you guys a little peek at what young Clare was like. 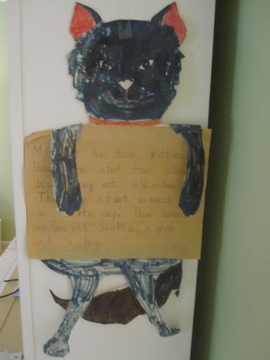 “My Aunt has two kittens. They are about four inches big. They eat already. They weight about as much as a coffee cup. 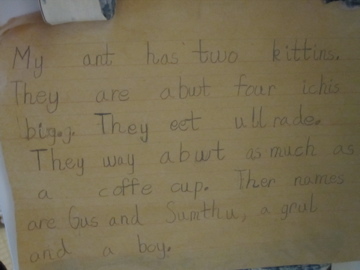 Their names are Gus and Samantha, a girl and a boy. My mom says I got an A+ in creative spelling. Lunch today was an Anne P. recipe that I saw last week and immediately knew I’d be making. 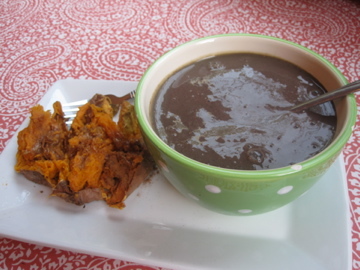 I love simple rice and bean dishes, but lack the creativity to try new flavor profiles. 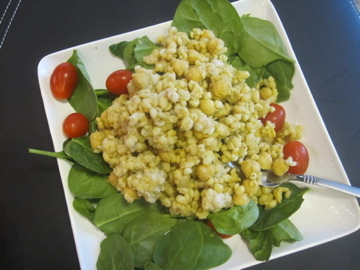 Her Curried Barley and Chickpea Salad sounded like a great update the the bland versions I tend to make! It was so simple. I made the Barley while I was eating breakfast this weekend since it takes about 45 minutes to took. 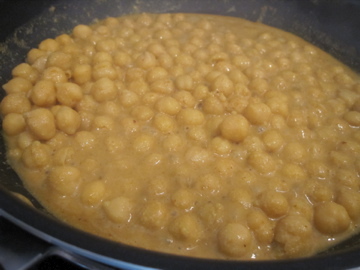 Then later that night I threw chickpeas, olive oil, nutritional yeast, and some spices in a pan for about five minutes. Mix it all together and you’re ready to go! This made about 3-4 servings, and I ate one cold over a bed of spinach and cherry tomatoes at lunch today. There was something so satisfying about chewing through sticky, cold, barley. 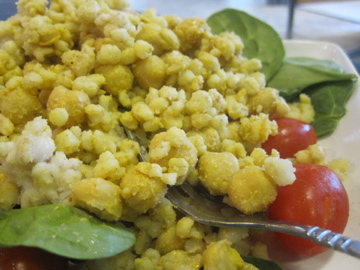 And the nutritional yeast and curry combination is mild but enough to bring a really nice flavor to otherwise basic ingredients. So delicious and I can’t wait to have more for lunch tomorrow! After an apple for a snack, dinner tonight was a smoothie and sweet potato combo! I loved this meal so much on Saturday that I had to have it again. The almond butter and sweet potato is to die for! Flipping back and forth between House Hunters Vacation and The Bachelorette…see you tomorrow! Tell me a funny story about your childhood! Your cat project us just precious. My son is about to start kindergarten. I can’t wait! As for the barley, I don’t have any, and I am prohibited from buying new grains. I have red quinoa, rice, and wheat berries. Any idea which would work best? I’m excited to watch The Bachelorette…I have it recording and I can’t decide whether to stay up late and watch it tonight, or wait until the morning! Hahaha I love little Clare, especially Miss Alice Holes and… I forget her brother’s name. 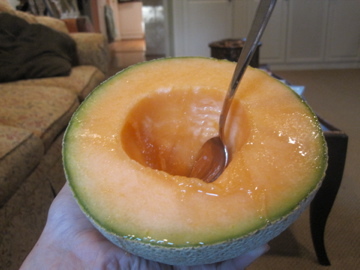 I love cantaloupe too…especially cut up with fresh mint, a squeeze of lime and a little bit of honey! When I was in 5th grade, I got a mangled fork stuck on my lip in the cafeteria. It happened when the “red stop light” was on, meaning that no one was allowed to speak. My friend maniacally waved down the vice principal who got to work prying a fork off my lip in front of a room of 100 silent 5th graders. I am still haunted. Ohh that recipe looks so good! I have to tryit out — thanks for sharing! haha love the cat project! My most vivid childhood memory is playing with Barbies and making them clothes out of tissues!! !